Are you effing kidding me with this? True. I’m super good with the advice, not so much of the taking it. I am so looking forward to the day where I can sustain an opinion for more than three hours. I must seem like a schizophrenic to my friends. Yesterday, I told a whole story about how strong I was and then a follow up story six minutes later that totally contradicted it and a good friend cocked her head at me and said “Wait, what?” and I said “Exactly.” This sums it up. But I will say this – at no time yesterday did I, during a fun hike with my friends, fall 1000 feet to my death and then get eaten by vultures. And this woman did. So, I think the lesson here is that who really cares about the rest of the little things? 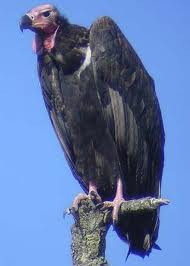 Well, I did not get eaten by vultures today. You? Well, that is a good day I guess. Let’s all remember that, shall we? A new standard and a reminder of what I’ve always said, Nature is going to kill us all.